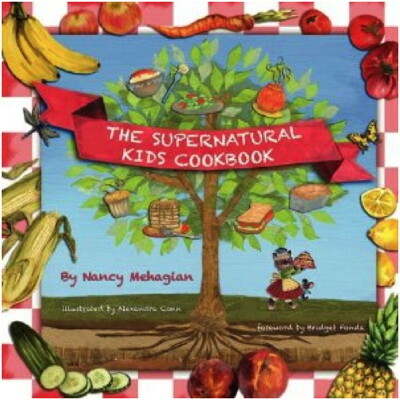 What better way to excite young imaginations and introduce kids to the fun of creating in the kitchen than this gorgeous cookbook from writer, healer and cook Nancy Mehagian? 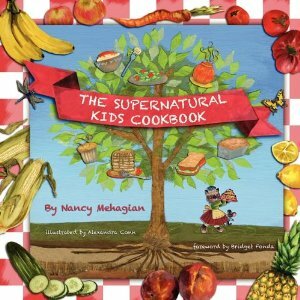 The Supernatural Kids Cookbook is a super-cute little book brimming with healthy, delicious and easy-to-follow recipes, plus dozens of adorable illustrations by Alexandra Conn and a foreword by Bridget Fonda. “Kid tested and Mother Earth approved,” The Supernatural Kids Cookbook is an innovative collection of healthy, tasty and easy to prepare foods that introduces the basics of cookery to budding junior chefs and also encourages mindful eating. Expressly created for kids, this cookbook was designed to coax them on a path and lifelong journey of nutritious and delicious culinary exploration and inspiration. This friendly and instructive book explains basic preparation, illuminates mysterious things such as the major food groups and presents a two-page illustrated list of essential cooking equipment for tiny chefs. On page three there’s a clear glossary of basic cooking terms (do you remember when you first learned what it meant “to mince”?!) and the ‘before you begin’ page promotes essential sanitary and safe habits and encourages young readers to explore and educate themselves. I loved the illustrations for how to cut up a pineapple also the best way to chop an onion. Remember – getting creative in the kitchen is one of the best ways to build confidence and self-sufficiency in kids. Can there be anything more gratifying and rewarding than putting a meal on the table that you prepared yourself? Above all, these recipes are extra enticing and designed to motivate curious kids to explore cooking from a wholesome perspective. The majority of the dishes are vegetarian, which is a fantastic place for young people to learn about conscious cuisine. The Supernatural Kids Cookbook contains over seventy (70!) mouthwatering and healthy recipes that the entire family will enjoy eating. There’s everything from scrumptious salads and sandwiches to hearty casseroles, soups and delicious desserts. Kids will be inspired by fun-sounding recipes such as Monkey Muffins, Zany Zucchini Bread and Hippotatoes. There is a page devoted to the simplicity of steamed vegetables and also more ambitious fare such as the enticingly titled Ruby Soup, which is a dazzling version of the Russian standard beetroot soup known as borscht. Veggie Stir-fry with Tofu and Cashews and Vegetarian Chili are bound to become family favorites. Mehagian’s recipes are all extremely well researched and fool-proof. Anybody, young or old, can tackle these delectable meals and then sit back and wait for the accolades to follow – that is, unless everybody is too busy eating! ‘Scuse me while I head into the kitchen to cook up a treat. Published by Huqua Press, a division of Magpye Media/Morling Manor Corp. This is a fantastic work and truly entertaining to look through, read and follow along with. Great graphics, great ideas of foods and combinations to try. Congratulations to all who are involved. When will volume II be coming? 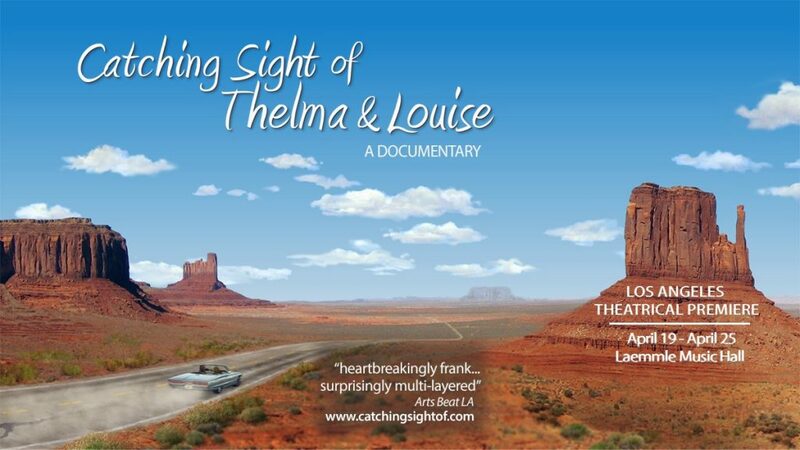 Many thanks to Sam Daniels and Pauline Adamek for wonderful review and comment. Our first! I’m working on Volume 2 now. The book is beautiful and the recipes fun and delicious. My favorite is the Vegetarian Chili. Which booth will you be at for the LA Times Festival of Books? Great book! Can’t wait for my daughter to cook her first family dinner for us!